"Managing" your anxiety and panic attacks belongs to the past. It's time to recover. Most people who suffer from anxiety and panic attacks are told by their well-meaning friends, doctors, therapists and psychiatrists to "manage" their anxiety. Some are prescribed pills in an effort to calm their anxiety down. Breathing techniques, mindfulness and more are advised as well. Needless to say, that isn't a very effective approach, and it never was. Anxiety and panic attacks require a different strategy, a counterintuitive one. Left uncontrolled, anxiety tends to grow more and more because our amygdala (the anxiety center of our brain) becomes hyperactive and sees more and more to worry about. 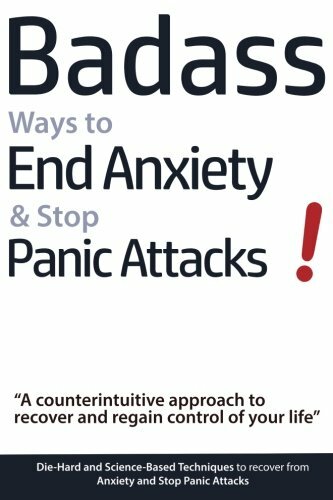 This book will uncover science based and counterintuitive techniques that are designed to end unwanted anxiety and to stop panic attacks. They have been tried and tested both by the author Geert Verschaeve (who suffered from generalized anxiety and panic attacks for fourteen years) and the thousands of people who suffered from anxiety he has helped ever since. You'll get step-by-step plans on how to respond and what to think in the anxious situations that still frighten you. You'll learn how to overcome "fear of the fear" and anticipatory anxiety. We'll look at the different sensations anxiety can give to your body and how to deal with them. You'll get a list of ingredients to avoid that increase anxiety and can cause panic attacks. You'll discover how to stop "checking in" all the time, so you can get on with your life. The first stage you will reach is the one where your intolerance to anxiety will be gone. You'll be participating in whatever it is that currently still makes you uncomfortable. You'll still feel some anxiety, but for many reasons that will become clear when you get there, the anxiety won't bother you. The fear of the fear will be gone. Stage two appears when you'll partake in something that previously gave you anxiety, and you'll realize the anxiety and the accompanying sensations simply aren't there. Your anxiety may not be linked to locations or events, and in that case you'll just notice that you haven't had to think of your anxiety for some time. No checking in was needed. This will be a very liberating moment, as I'm sure you can imagine. Then, stage three arises. As you start to enjoy many activities again and can finally go on with your life, you'll arrive at a point where you will become aware of what's been happening: "huh...I haven't felt anxious for a long time. I don't even remember when the last time was. I've really been enjoying life again. Is it all really in the past now?" Then comes a very important moment, stage four. This may be months or even years down the road. The moment that the anxiety tries to return. It will. Up until that instant you may have been living your life fully, with clear skies and sunshine every day. Then, a little cloud of anxiety tries to appear. That may sound scary, for now. However, since by that time you'll have finished this entire book, you'll know exactly how to respond and the anxiety won't take over. It won't be able to, because you cannot unlearn what you're about to learn. It will be like seeing a long lost "friend" passing by, making you remember of the past, without going back to it. Are you ready to become a fearless badass? Then hit the buy button at the top of this page and start your recovery-journey right away!